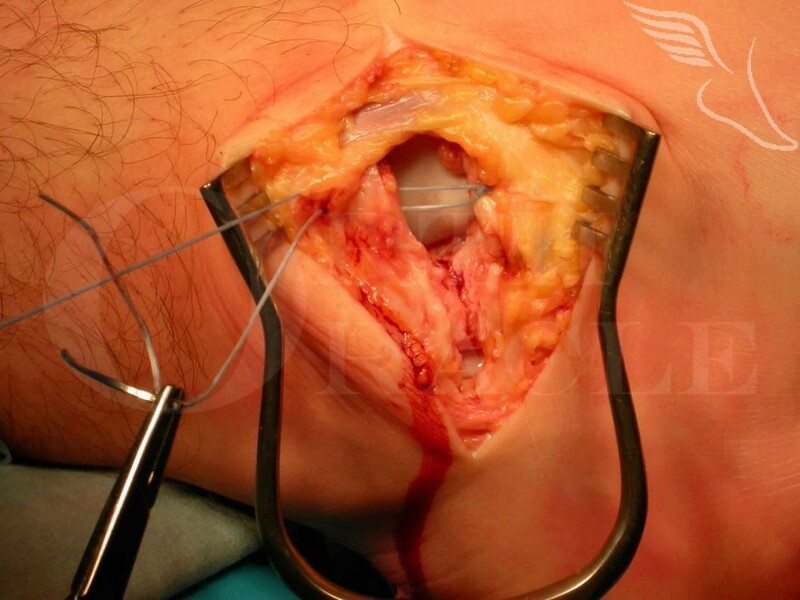 Learn the Birmingham lateral ligament reconstruction surgical technique with step by step instructions on OrthOracle. Our e-learning platform contains high resolution images and a certified CME of the Birmingham lateral ligament reconstruction surgical procedure. The initial management of the post-traumatic unstable ankle is conservative. Some cases with overt ligamentous laxity will be dynamically stable during function having undergone an appropriate course of strengthening and balance rehabilitation (whilst the ligaments remain lax to examination). If rehabilitation fails the main complaint referable to the ligaments will be one of instability and not pain. Patients with pain as a regular feature will probably also require an ankle arthroscopy to treat an intra-articular source of pain. It is important in such patients to be clear about the location of the pain. The ankle joint itself is only one possibility as pain can also come also from injury to the postero-medial or postero-lateral tendons after an ankle sprain and this needs to be considered.